Hello friends and Happy Cinco Seis de Mayo! Of course, this is one of the best food holidays of the year. I don’t think I’m the only person in the universe who loves to take any opportunity to shove my face with chips, salsa, queso, guac, margaritas or Mexican beer…However, this year I finally tackled a cinco (er, seis) inspired dessert that I have been wanting to try for a very long time. Tres Leches Cake! 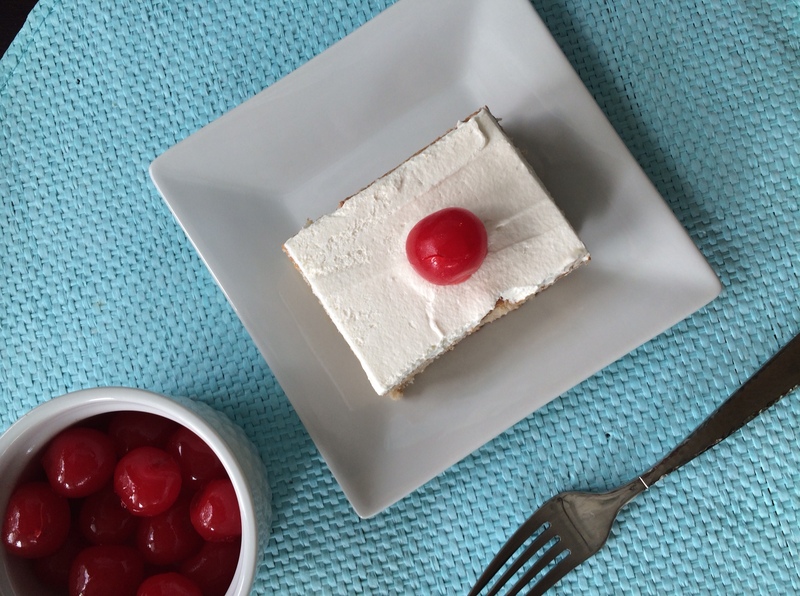 If you have ever heard of Tres Leches, you probably already know it translates to “three milks” even though this cake has more than just 3 dairy products in it. If you are lactose challenged, I’m sorry, this cake is not for you. 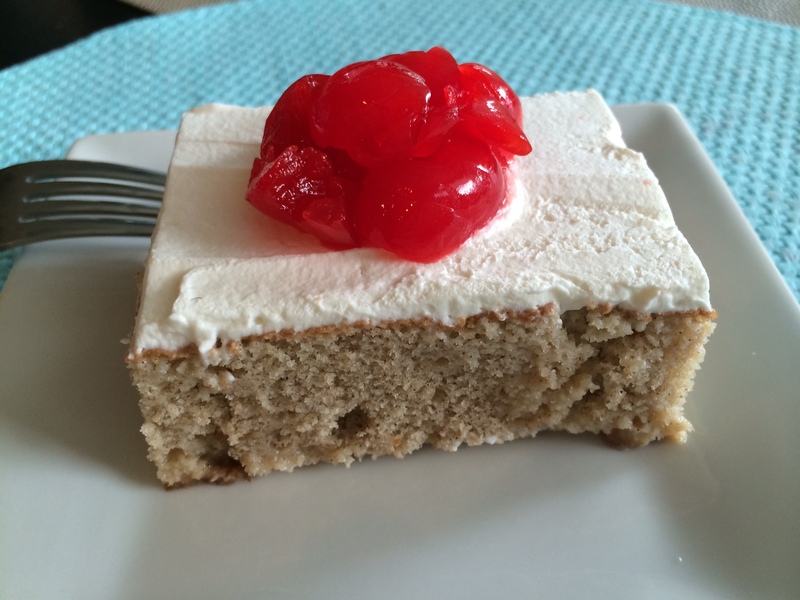 However if you are willing to take on Tres Leches, it’s pretty damn worth it! This cake is most def a “make ahead” recipe, as it gets better with time! The particular recipe I adapted is a very spongy, airy cake that soaks up the decadent leches mixture like a champ. I was kind of skeptical, since you don’t even use butter for this cake (this always seems weird to me) but it turned out delish and was a hit at the pre-cinco get together we had. Make this for your next fiesta, it’s a very special treat that you can impress your friends with! Combine flour, baking powder, salt and cinnamon in a large bowl. Separate eggs. Bake for 25 to 35 minutes or until a toothpick comes out clean. Mine only took about 30 minutes, it can be tricky but the top should be nice and browned! 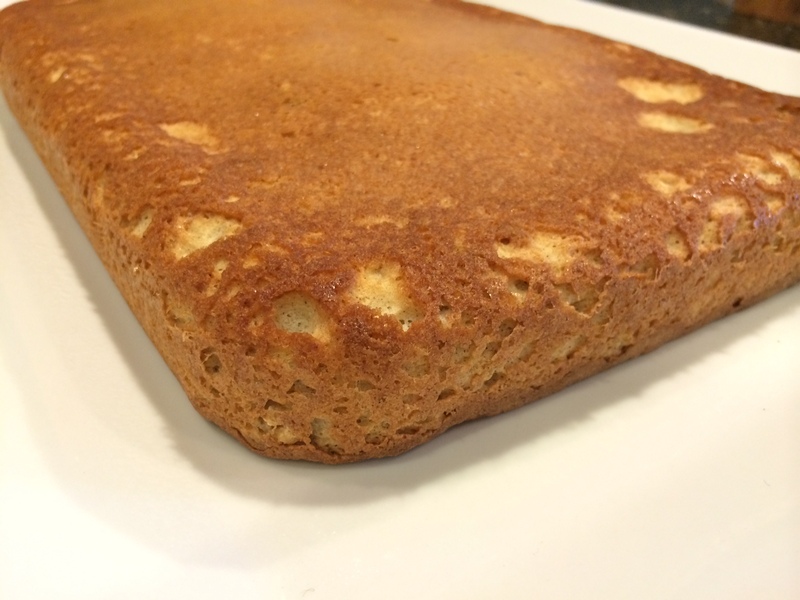 Turn cake out onto a rimmed platter and allow to cool. Combine condensed milk, evaporated milk, heavy cream and rum in a small pitcher. When cake is cool, pierce the surface with a fork several times. Slowly drizzle all but about 1 cup of the milk mixture—try to get as much around the edges of the cake as you can. You will probably have some liquid left over, you can discard or save if to add to the cake later, if you’d like. Allow the cake to absorb the milk mixture for at least 30 minutes or up to a few days. To ice the cake, whip 1/2 – 1 pint (depending on preference) of heavy cream with powdered sugar and vanilla until thick and spreadable. Spread over the surface of the cake. Sprinkle with cinnamon, if desired. 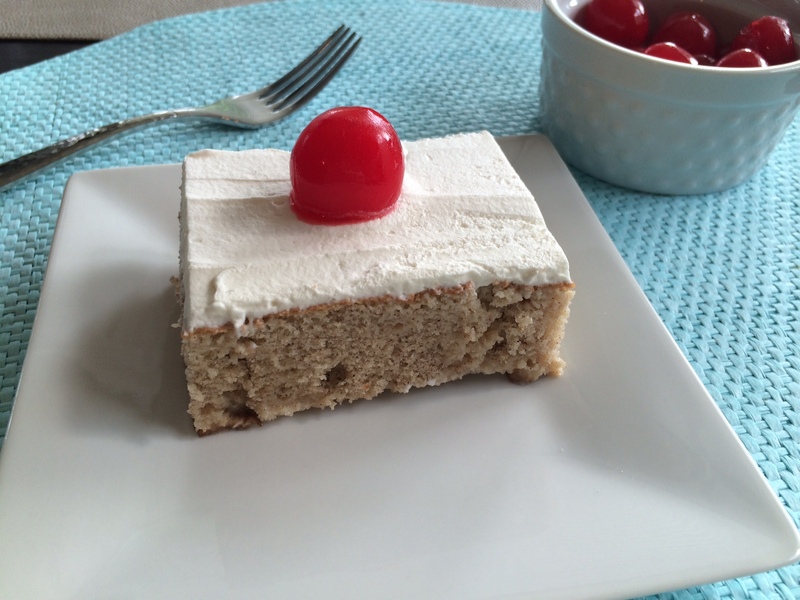 Decorate cake with whole or chopped maraschino cherries. Cut into squares and serve.